"Corey said this design reminders her of the Candy Land board game, and I have to agree. 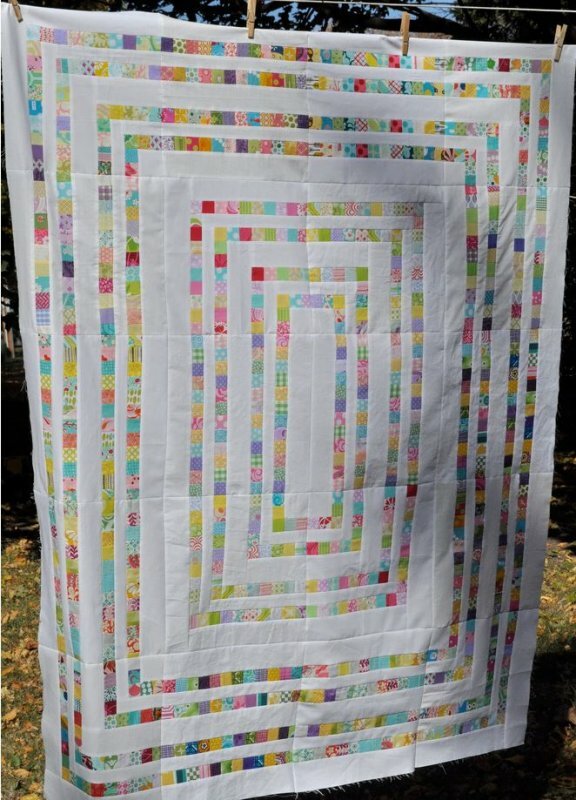 So the new name for this quilt is the Candy Land Quilt. "Well, it's my turn again for the do.Good Stitches month! :) I'm really excited!! 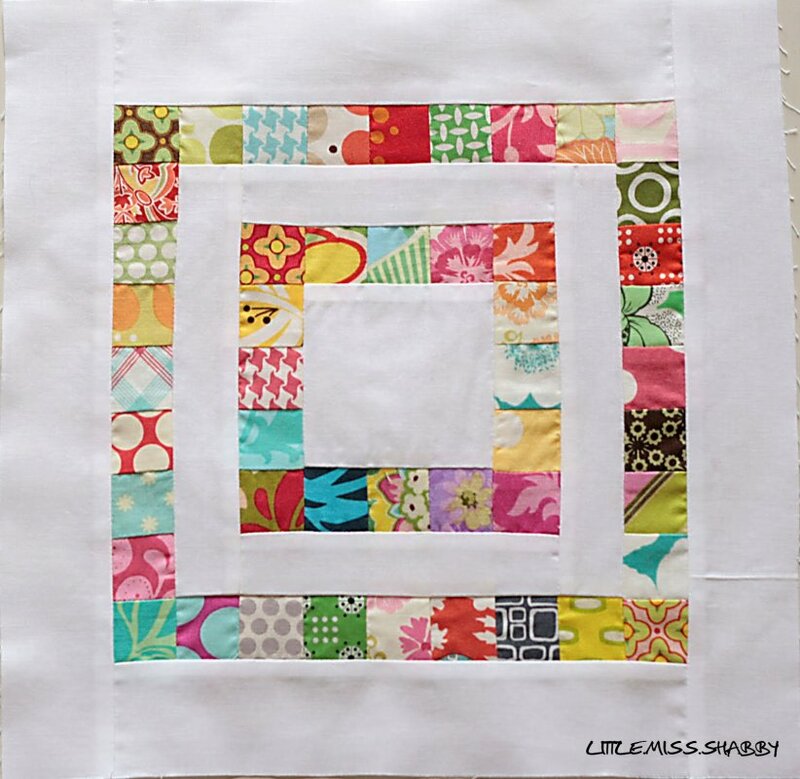 I saw this super cute block here, and want to use this design for the basis of our quilt." 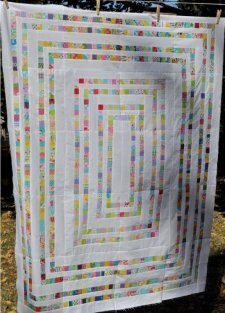 The patterns for the quilt are in three parts, detailing the corner blocks, the straight-line blocks, and the back. Please follow the link below and look near the bottom of Diane's post to find the three links. 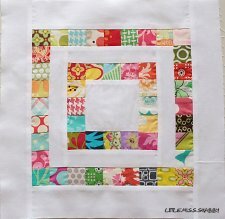 See the original Scrapbuster Block tutorial by Corey Yoder. This is a 12.5" block (32cm).